Heinrich Von Treitschke (1834-1896) was a prolific German historian and political writer during the nineteenth century. An ardent admirer of Prussianism, Treitschke was also deeply anti-Semitic and anti-socialist. 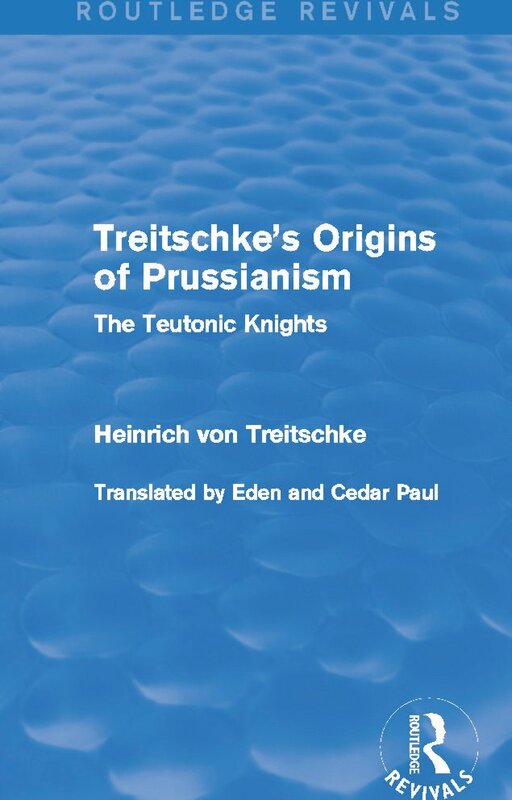 This translation by Eden and Cedar Paul of The Origins of Prussianism, published in 1942 and reissued in 1969, madeTreitschke’s 1862 classic essay available in English for the first time. It is a fascinating account of the thirteenth-century colonization of Old Prussia by the Teutonic Knights and the unification of Germany, which highlights his most prominent beliefs in the value of the State and the superiority of the German race. Treitschke’s essay will fascinate anyone with an interest in the history of Old Prussia and nineteenth-century German politics and academic thought.